Life is full of many different highs and lows that make up the human experience. We may have trials and tribulations, unexpected loss, unforeseen disappointment, and sadness, but we also have happiness, joy, and love. Memories are stored in our brains that, over time, can fade or become distorted. Now what would it be like if we downloaded those memories into a computerized holograph? 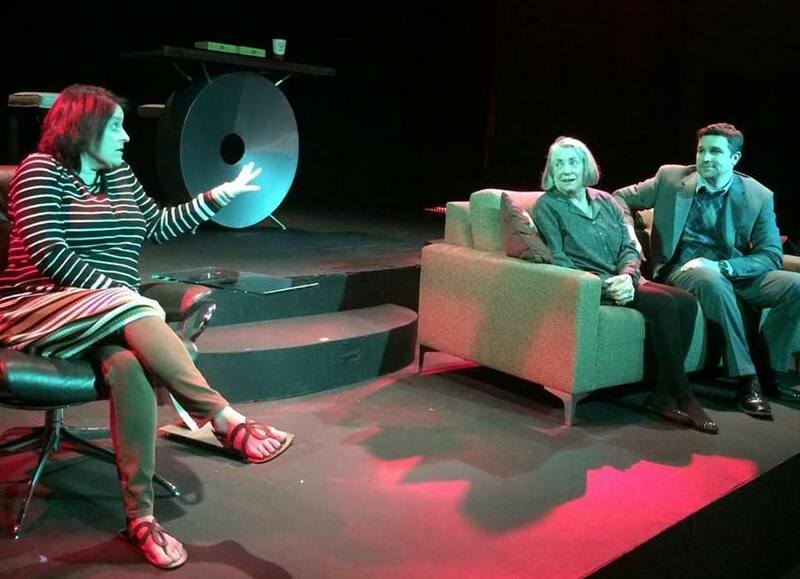 So goes this science-fiction play by Jordan Harrison, called Marjorie Prime. It was Sunday, October 30 in 1938 New York, and the country was on edge as Orson Welles went live via Madison Avenue and the Columbia Broadcasting System (CBS) in a Halloween episode hosted by Mercury Theater on the Air. A dramatic, science-fiction radio play, the program caused panic amongst communities who mistook the broadcast for real-life events as alien invaders, described in detail, appeared ready to take over the world. That's the real-life tale told in the Black Box Theatre's unique production of War of the Worlds: A Radio Play, and while Friday's performance was only about an hour long with no intermission, I thoroughly enjoyed it. Based on the novel by H.G. 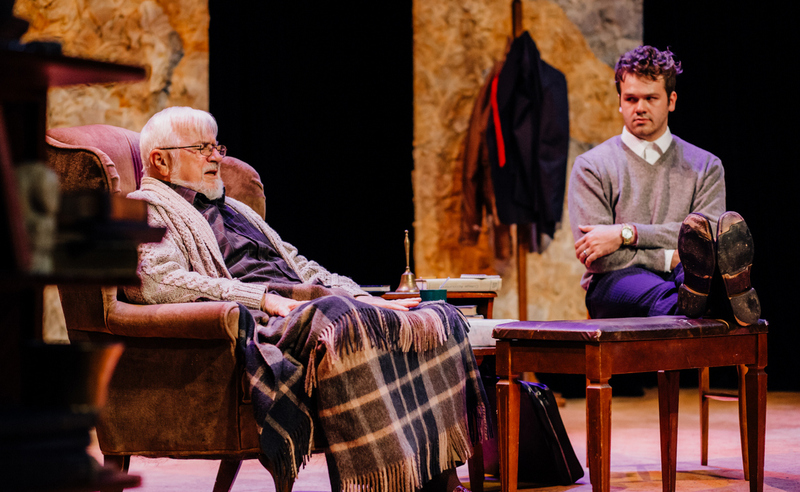 Wells and adapted from the radio-play script by Howard E. Koch, this singular story directed and designed by Lora Adams is quite different from the theatrical productions I typically attend – and different in a good way. There was a sanctuary in the sanctuary, and what a gorgeous venue: the Spotlight Theatre nestled inside the old Scottish Rite Cathedral in downtown Moline. Consequently, you could feel the excitement in the air for the opening night of co-owners and co-directors Brent and Sara Tubbs’ first musical, The Hunchback of Notre Dame. And boasting songs from the Disney film, music by Alan Menken, lyrics by Stephen Schwartz, and a book by Peter Parnell (based, of course, on Victor Hugo's novel), this production was the perfect opener for this magnificent site. In the words of Oscar Hammerstein, “A song’s not a song 'til you sing it” – and sing they did at Tuesday's dress rehearsal for Quad City Music Guild's musical revue A Grand Night for Singing. 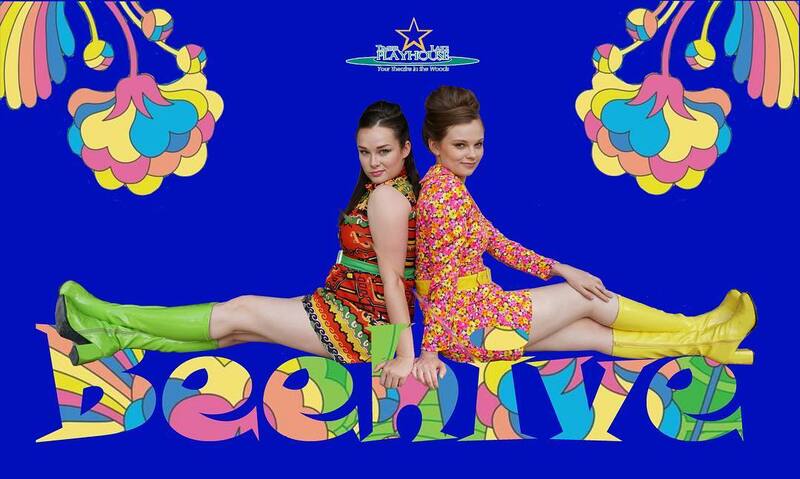 With the sentiment of the late Aretha Franklin and her famous song lyric, I extend R-E-S-P-E-C-T to the cast and crew of the Timber Lake Playhouse for delivering a most entertaining production of Larry Gallagher’s Beehive: The '60s Musical. The show's six posed, and composed, young actresses grabbed your attention from the start of Saturday's matinée performance, with each diva poised upon their platforms ready to explode with talent from the opening scene. 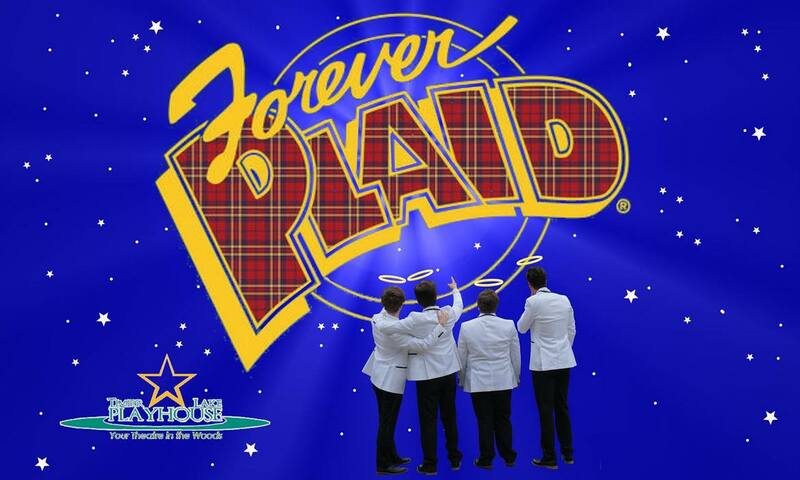 Soaring with melodies from another galaxy, the Timber Lake Playhouse's Forever Plaid is energetic, light-hearted, and funny in its nostalgic revue of 1950s close-harmony guy groups. Saturday's matinée performance of this outstanding production – directed and choreographed by Gregory Daniels, with the original musical arrangements by James Raitt – just kept getting more entertaining as the show went on. We all know that dying is a part of life, but most of us don’t like to think about it. Being a cancer survivor myself, I know all too well what it's like to face death, and whether you're young or old, death does not discriminate. So when I went to see Saturday night's Tuesdays with Morrie – playwright Jeffrey Hatcher's adaptation of Mitch Albom's bestselling memoir – at the Clinton Area Showboat Theatre, I knew, based on its subject matter, that I was in for an emotional roller-coaster ride that would once again make me face the reality of my mortality. 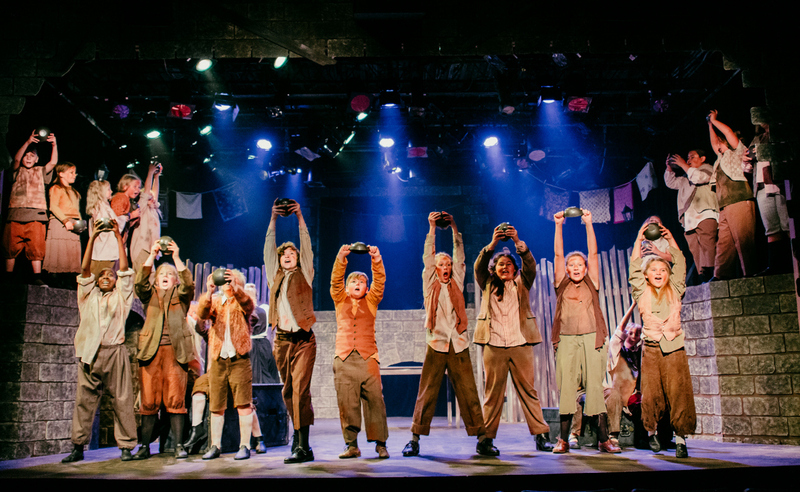 “Mazel tov!” to the Timber Lake Playhouse and its cast of Fiddler on the Roof for eloquently executing this enduring musical with great passion and precision. The full company of performers, directed by William Hayes, delivered a terrifically entertaining production filled with traditional Jewish-dance numbers that were very well done, and I found myself fully engaged during Saturday's matinée performance – not only with the original Broadway choreography reproduced by Jessica Chen, but with each characters’ precarious plight. W.C. Fields was famously quoted as saying, “Never work with children or animals,” probably because they're scene-stealing and completely unpredictable. And they certainly were, in the best way, when Thursday's opening-night performance of composer Lionel Bart's Oliver! played to a sold-out crowd at the Clinton Area Showboat Theatre. At the show's start, dozens of exceptionally talented children, playing half-starved orphans, stormed the stage with empty bowls in their hands singing “Food, Glorious Food,” and this classic tale of struggle and hardship was immediately delivered with skilled, scene-stealing, completely unpredictable song-and-dance performances. Does a wild hellhound prowl the moors of Devonshire? 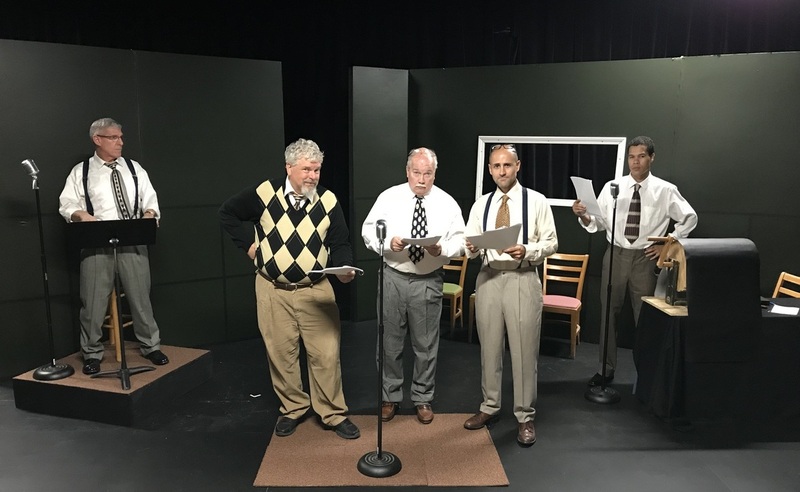 Leave it to the brilliant detective Sherlock Holmes (Alex Rudd) and his distinguished assistant Dr. Watson (Max Bahneman) to solve this legendary case of an alleged curse in Ken Ludwig’s Baskerville: A Sherlock Holmes Mystery at the Timber Lake Playhouse. In a totally marvelous theatrical display of talent and special effects, Saturday’s matinée performance was one of the best non-musical productions I’ve seen in a long time.